Award after award keeps coming to the Tirol’s best family ski area Ski Juwel Alpbachtal Wildschönau. Read more from John Hill.. This season the region will invest heavily in new lift facilities to keep it ahead, with two highlights – a new 8-seater gondola from Auffach up to the Schatzberg and the new “Alpbachtaler Lauser-Sauser“ on the Wiedersbergerhorn in Alpbach. The Ski Juwel with its 109 km pistes – 80% have snow canons – is one of the largest in the Tirol. For the third year running users of winter web portal schneehoehen.de chose Juwel as overall winner (2014-2017). Other international test platforms such as skiresort and skiarea have awarded gold seals of approval for the Jewel’s ski area and for piste quality. 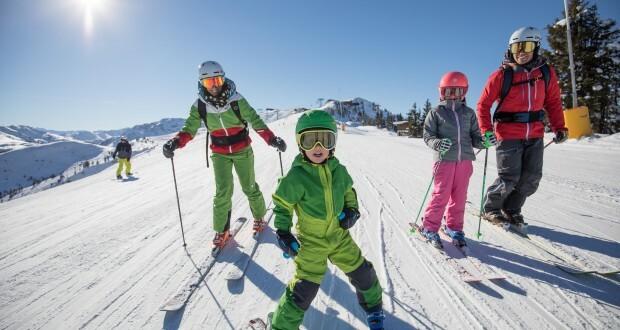 Juwel has been declared the ideal winter sports destination for families, and also rated as one of Europe’s best family resorts by The Good Ski Guide. New Schatzbergbahn – The new 8-seater gondola from Auffach up to the Schatzberg starts in early December. The Eur 18 million, 4 km long lift can transport 2.650 persons per hour. Innovations include comfortable, barrier-free access, indoor ticket desks and a large sports shop. This renovation ensures that the Ski Juwel Alpbachtal Wildschönau main access points are all serviced by modern high-capacity lifts. New Alpine coaster open in September saw the opening of the The new ”Alpbachtaler Lauser-Sauser“ Alpine coaster in Alpbach. Next to the Wiedersbergerhornbahn top station, the modern Alpine Coaster will treat thrill seekers of all ages to a trip along a winding and undulating kilometer-long track towards the Kohlgruben lift. At the end of the ride stay seated and get pulled back to the track’s starting point. This is is a great Ski Juwel asset open all year. Great moments can be had in the snow parks on the Schatzberg and on the Wiedersberger Horn. And snow park dreams will come true for beginners and pros. Funslope & Family Park Alpbachtal with its fun elements is ideal for children. 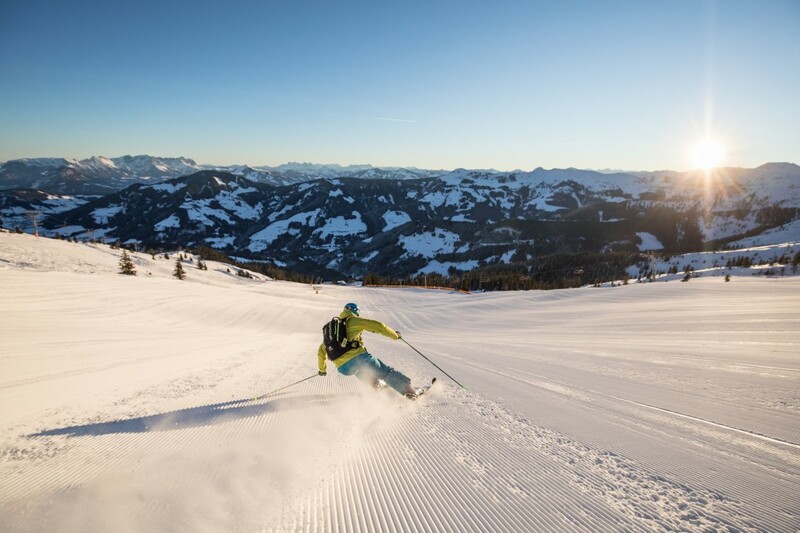 No need to quit skiing or boarding when the sun goes down every Friday and Saturday as there is night skiing on the Reither Kogel. And thrill-seekers can even co-pilot a piste basher on at the Reitherkogelbahn in Reith im Alpbachtal. Wow! as a piste basher co-pilot. A lovely hiking path leading through striking scenery leads down to Auffach from the Schatzbergbahn middle station. All those who love exercise combined with plenty of fresh air should do the hike on the circular path on the Reither Kogel. Starting from the top station a moderately undulating trail leads through snow covered countryside. Night tobogganing also at the Roggenboden in Oberau and in Auffach and at the end there are huts to refuel and warm up. During the day the very brave can enjoy a birds eye view of the beautiful Ski Juwel with a qualified glider pilot offering paragliding or hang-gliding flights. A trulu unforgettable experience. Despite the Juwell’s idyllic seclusion it is easily accessible – just 15 minutes from the Inn Valley motorway, and 40 minutes from Innsbruck airport. And phone and text freaks will fine mobile phone designated hotspots and free all over the mountains.. The Alpbachtal Seenland Card and the Wildschönau Card“ are free and offer every guest extra services without extra costs. Ski buses is one of the included services, as are guided snow shoe walks. The guest cards enable free use of the cross-country trails and many other services are also free of charge.